If you’re from out of town, it can be tricky to know what’s on offer in a strange city. Glasgow folk who live here will always recommend the West End to new arrivals. With its old fashioned, sandstone tenement apartments, tree-lined River Kelvin and the Harry Potter-like University of Glasgow turrets, the place has a lot going for it. The West End is a blend of professionals and students and has a raw cosmopolitan feel. You’ll encounter park yoga, alternative dance lessons and book groups, as well as some interesting clubs and a whole gamut of award-winning restaurants. It’s a highbrow setting, with a large emphasis on education and enjoying life to the full. Pore over our selection of favourite West End spots and pastimes. The time-honoured attractions are the best and the Botanic Gardens are only a few minutes’ walk from our door. You’ll be in awe at long-established glasshouses (complete with koi carp pond!) displaying a broad range of weird and wonderful plants from far-flung destinations across the globe – some as big as houses! There are seating benches outside for basking in the sunshine, or why not bring a picnic blanket and stretch out with a few nibbles. Indulge in a coffee and cake from North Star Café just a few steps away and enjoy a chilled out afternoon. We’ve put these two together because the word on the street is – shopping! From bookshops (old and new – from Waterstones and an interestingly-stocked Oxfam bookshop across the road) to vintage vinyl, vintage clothes from yesteryear and high street brands like Oliver Bonas and Fat Face. Go easy on the credit card though, or you could find yourself spending a bit more than you planned! 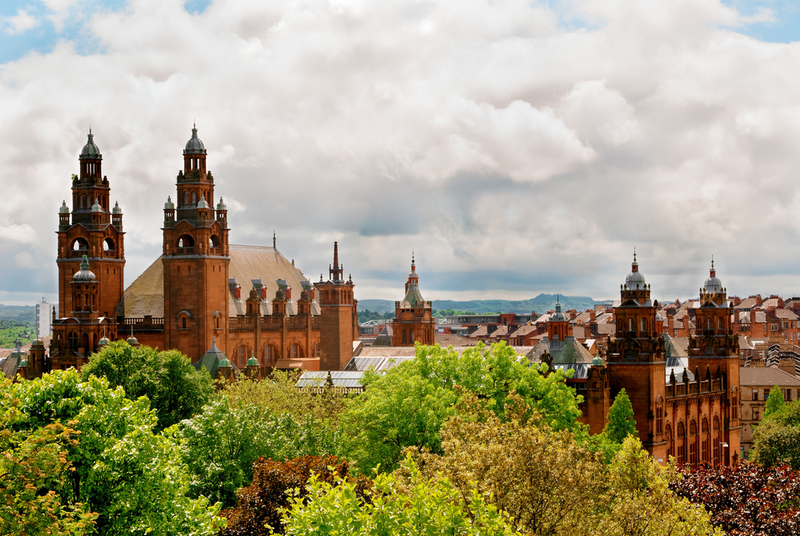 When you’re not wandering along the River Kelvin or charity shop bargain hunting, spoil yourself with some tasty food from one of the countless and diverse restaurants and cafes the West End has to offer. The University Café is a charming vestige of the 1930s and still has many of it’s original fixtures and fittings for you to marvel at. Plus, their home-made ice cream is legendary! Transport yourself to Japan via Glasgow at Bar Soba, and sample South-east Asian street food dishes or go upmarket with nouveau cuisine at Ubiquitous Chip. Little known outside of the medical community and historian circles, William Hunter was the forefather of the study of obstetrics and his research and ground-breaking techniques have saved the lives of literally millions of women and babies. 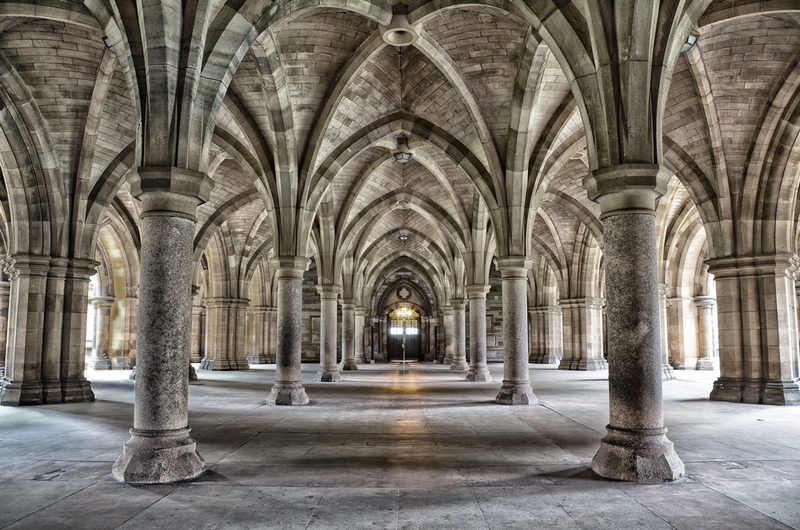 Discover facts about his amazing life and work for free at Glasgow University’s Hunterian Museum – beware, some of the exhibits are not for the squeamish!